I was really excited to finally get my hands on a bottle of O.S.T. Vitamin C20 Serum. It’s been on my wish list for a long time. I’m a big fan of Vitamin C as a skincare ingredient in general, but stopped using it last year when I started using tretinoin (generic Retin-A). It’s generally advised not to mix tretinoin and Vitamin C in a single routine, though, if your skin isn’t sensitive (and you’re not spending a lot of time outdoors), it can be okay to use Vitamin C in the morning and tretinoin at night. It took a while for my skin to get used to the tretinoin, and my skin was very sensitive during that time; I just didn’t think my face could handle both. My skin is now used to the tretinoin, and I just switched to the micro-gel version (which I find to be much gentler), so when I had the opportunity to try this serum, I said, “Get on my FACE, Vitamin C!” Okay, I didn’t say that. But I thought it, and I still think it every morning, as I’m applying this serum. O.S.T. Original Pure Vitamin C20 Serum ($25) is a Vitamin C powered serum that claims to exfoliate, brighten skin, fade acne scars/post-inflammatory hyperpigmentation (PIH), and remove blackheads. Ascorbic Acid – Ascorbic acid is the source of Vitamin C in this serum, and it accounts for 20% of the serum. As a general rule, you want at least 10% for an effective formula, 15% is better, and 20% is pretty great. Topical Vitamin C has been scientifically proven as an effective topical treatment for a variety of skin conditions, including acne, reduction in photodamage, fading of scars, and strengthening the skin’s barrier function. It also promotes collagen production, and is often marketed as an anti-aging ingredient for this reason. Unfortunately, Vitamin C in general is not very shelf stable. It’s extremely sensitive to light and oxygen; overexposure to either one of those things will cause it to oxidize rapidly, at which point it loses its efficacy. This is why it’s important for Vitamin C to be packaged in dark colored or opaque bottles – a clear bottle would render the product ineffective fairly quickly. It’s also important to use up a Vitamin C product within a a reasonably short span of time – 3 months is a good rule of thumb, but if your Vitamin C product darkens at any point, it’s time to stop using it. A darker product means it has oxidized. There are many different sources of Vitamin C; Ascorbic Acid (which also happens to be an AHA) only represents one of them. Unfortunately, it’s not the best choice to be used topically. It’s effective, but it is a little less stable, and it is more likely to cause irritation than other C sources such as C-ester or magnesium ascorbyl phosphate (MAP). Sodium Lactate – Sodium Lactate is a sodium salt derived from Lactic acid. It’s a highly effective antimicrobial agent . In fact, it’s often used as a preservative in meat and poultry products for precisely this reason. As a skincare ingredient, it also has exfoliating properties and works well as a pH adjuster. Camellia Sinensis Leaf Extract – Better known as Green Tea Extract, this ingredient is a highly effective antioxidant and anti-inflammatory ingredient. Sodium Hyaluronate – Often referred to as hyaluronic acid, this ingredient is able to hold up 1,000 times its weight in water. This humectant also does a great job attracting and maintaining water in the skin, and promotes blood circulation and nutrient absorption. Niacinamide – This is a cell-communicating, anti-inflammatory ingredient that has been proven in numerous studies to increase barrier function and ceramide levels, and lightens hyperpigmentation. It’s one of my all time favorite actives! However, I am a bit confused about Niacinamide’s presence in this formula, as it is typically known to be incompatible with Vitamin C, especially in the form of Ascorbic Acid as it appears in this serum. Niacinamide and Vitamin C cancel each other out when mixed with one another in water-based solutions – which is what this serum is. Because Niacinamide is so low on the list of active ingredients in this formula, I’m guessing it’s not present enough to cancel out the efficacy of the Ascorbic Acid, but I am wondering what its role is in this serum. If any cosmetic formulators happen to be reading this and can shed some light on why Niacinamide is included in this formula, I’d love your insight! Ubiquinone – Better known as CoQ10, Ubiquinone is an antioxidant that can help increase collagen production when present in large enough amounts. Ubiquinone is pretty low on the ingredient list in this particular formula, however, so once again, I find myself asking why it’s been included. It’s worth mentioning that this formula also contains alcohol (which appears as “Ethanol” in the ingredient list). The alcohol is the only major red flag in the O.S.T. 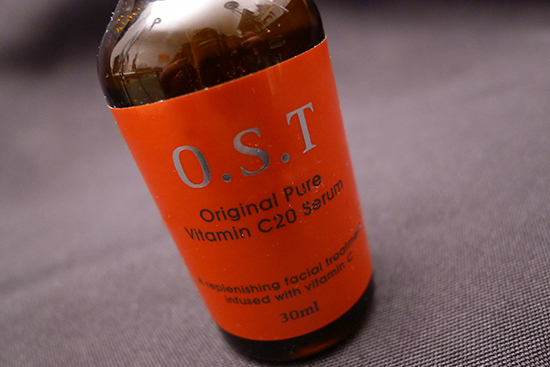 Vitamin C20 Serum according to COSDNA, where the ingredient ranks a 3 out of 5 as a potential irritant. I’ve mentioned here before that there are a large number of people who believe that alcohol is harmful to the skin in any amount and in any formula. There is also a line of thought that when included in a well-formulated product, it is a beneficial ingredient because it increases the absorption of other skin-healthy ingredients. Based on the research available, which is best summed up in this FutureDerm article, I’m personally inclined to fall into the “alcohol can be good in a well-formulated product” side of the great debate. The O.S.T. 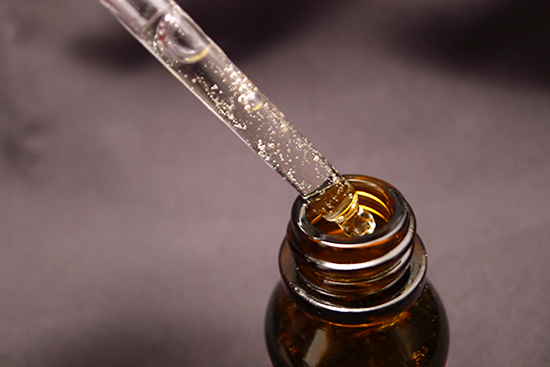 Original Pure Vitamin C20 Serum arrives in a well-sealed, amber glass bottle. The dark colored glass is a good choice for helping to prevent product oxidation. 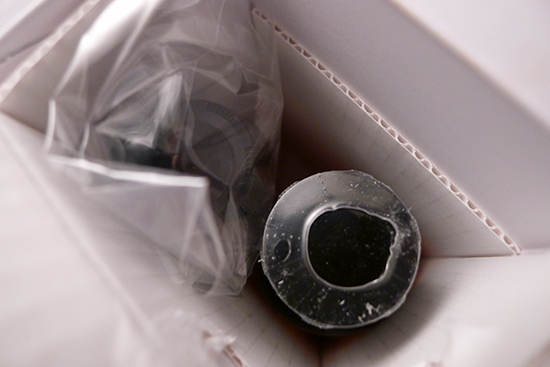 It comes with a glass dropper cap, which is packaged separately to prevent it from breaking during shipping. I would have preferred to see this product in an airless pump to prevent air exposure, but a dropper is fine – it would be my second choice. This serum smells delightfully like fresh oranges. Before I get into my application method, I’d like to point out that the O.S.T. Vitamin C20 Serum really is designed to be used at night. The primary reason for this is its Ascorbic Acid content, which is easily broken down by UV rays. That said, I use this product during the day because I’m a nightly Tretinoin user, and the two products aren’t compatible. However, I am very vigilant about wearing sunscreen, and most days I get very little sun exposure – 22 minutes total for my drive to and from work. I skipped this serum on a couple of occasions when I knew I would be outside or in the car for a while. As for my application method, I apply this serum as soon as I dry my face after cleansing in the morning. In a typical Asian skincare routine, this would actually be the serum step, which comes after the toner, but back when I was using the Perricone MD Vitamin C product, I applied my C first thing after cleansing. That worked well for me, so I decided to use this in a similar manner. I follow up with my facial oil, my sunscreen, an essence, and my moisturizer. Before trying this serum, I read a few blog reviews that stated this serum dries with a sticky finish. If you apply this serum on its own and don’t apply any additional skincare products afterward, that is 100% true. 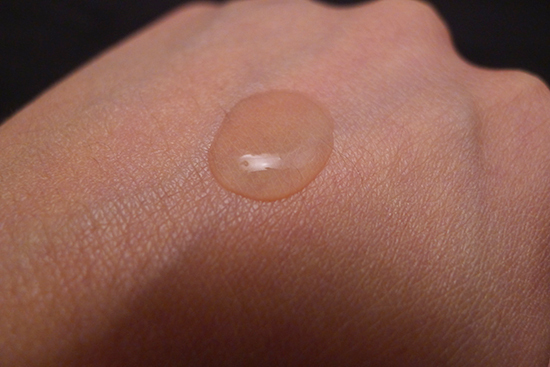 This serum glides on during application, but it does feel sticky to the touch once it’s dry. However, there is never a situation when I’m applying this serum on its own – well, except for the instance when I did it for the purpose of learning if it really is sticky. Once I apply my subsequent skincare products, there is absolutely no trace of stickiness. Also worth mentioning is that the O.S.T. 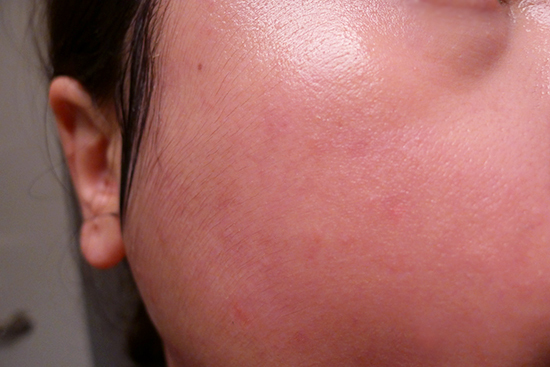 Vitamin C20 Serum does tingle a bit just after application. I can’t tell if it’s the alcohol, the Ascorbic Acid, or a combination of both that’s causing the sensation, but it’s definitely there. It’s not unbearable – in fact, I wouldn’t even call it painful. It’s just slightly uncomfortable for a minute or so after application. There are a few things I wish I could change about this serum: I wish it didn’t contain Niacinamide because of its incompatibility with Ascorbic Acid, and I wish it didn’t cause any sensation when I apply it. If I had my way, I would also probably forego the alcohol in this formula, even though I’m not entirely averse to alcohol as an ingredient in the right product. All that said, my results from using the O.S.T. have been spectacular! When I began using this serum, I had some very visible hyperpigmentation spots on my right cheek that had been lingering for weeks with little to no fading. After the second week of using the O.S.T. 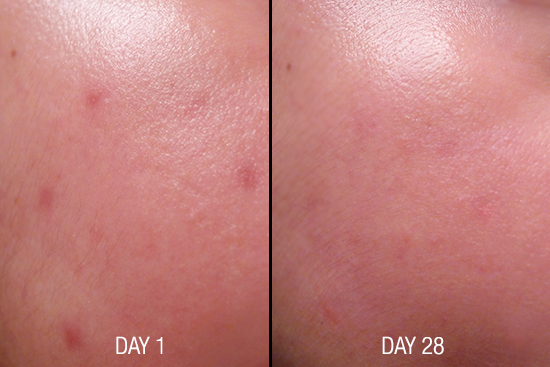 Vitamin C20 Serum, I noticed they had faded dramatically, and by day 28, they were almost gone. My overall complexion also looked visibly brighter after about a week of use, and my overall skin texture appears smoother now than it did a month ago, especially in my nose area. I’m fortunate not to have very large pores or any blackheads, so I am unable to comment on whether this serum helps with either of those issues. In spite of the tingling sensation I experience when applying this serum, the O.S.T. Vitamin C20 Serum did not cause me any visible skin irritation aside from some very mild peeling during my first couple of weeks using this product (the ascorbic acid is exfoliating, after all). When the peeling did occur, it happened at the end of the day, which leads to be believe I probably wouldn’t have noticed it as much had I been using this product in the evening as directed – the dead skin would have washed away with my morning facial cleanse. I’ve been using this serum for going on 33 days now, and definitely plan to finish the bottle. I love the results I’ve been getting from it, and I’m looking forward to seeing my hyperpigmentation spots completely disappear. I would definitely consider purchasing the O.S.T. Original Pure Vitamin C20 Serum again, especially since it’s priced affordably at $25 retail. I will probably experiment with some other serums first though, now that I’m back on the Vitamin C train! Quality: 3/5 – The packaging is okay, but would be better as an airless pump. Overall ingredient list could use some improvement. The O.S.T. 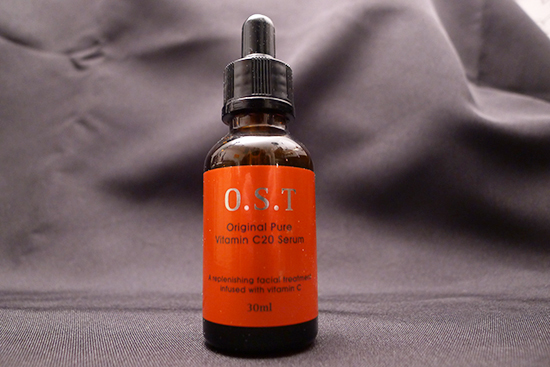 Original Pure Vitamin C20 Serum is available from Wishtrend. It normally retails for $25, but right now it’s on sale for $20, so it’s a great time to pick this up! This article features a press sample that was sent to me for my unbiased consideration. Any opinion expressed is 100% my own. For more information about my review policies, see my full disclosure. This post contains affiliate links. Shopping these links helps support this site. Full disclosure. Aw man. That’s disappointing about the Ciracle! How long have you been using it? Does it smell like oranges too? The ingredient list for that one looks very, very similar to the O.S.T. list. If the Ciracle let you down, you might find the O.S.T. underwhelming as well. Your before and after pictures are gold! I’m definitely going to give this a try, since I have some stubborn hyper pigmentation. And I love the smell of citrus fruits lol. I think it’s definitely worth a shot if you have hyperpigmentation! I am obviously very happy with my results. I’d love to know how it works out for you if you try it! This thing works great! i wonder if it will works on my sun damage pigmentation..
btw, what’s your skincare routine now? Hi Rev! At the moment I’m experimenting with a variety of Shea Terra Organics products, but my baseline routine is still Benton along with my Argan and Maracuja oils. If you’re looking to lighten up your hyperpigmentation, I think this product is definitely worth a try! I have been lurking your blog for this review and holy s***balls I love the results it gave you. I gave the serum a second try and I seriously don’t know what happened. I think it did give me little bumps on the side of my cheeks. I’m starting to think I have sensitive skin. Going to take another week or 2 off for my skin to calm down before giving it another try for my final verdict. Do you have your eye on any specific MAP Vitamin C serums? I’m really curious how it (a MAP formula) compares to Ascorbic Acid on my sensitive skin. The last one I used was Ascorbic Acid (Paula’s Choice RESIST c15) and I really liked the feel of the formula, as well as found it doubled to be the most effective treatment to lessen the appearance of a scar on my hand; worked better than her scar serum for me. I also found it was easier to tolerate in between Clinique Redness Relief Cleanser and moisturizer designed for sensitive/red skin. I wish Ascorbic Acid was a more stable form of Vitamin C; then I’d be less concerned about buying it and taking my time using it up. It took me about four months to use up this three month supply, which I thought wasn’t too bad considering. Sometimes I’d spot treat on my face. Do you remember if you did anything specific with the rest of your routine while using OST Vitamin C serum to try to lessen sensitivity/potential irritation? I definitely want to try a MAP C serum! As soon as I’m done with the Paula’s Choice one I’m trying right now, I plan on picking one up. The ingredient list for the one you linked does look good! And the price isn’t bad either. I’d definitely consider that one. When I used the OST serum, I did find it to be mildly irritating, especially at first. My moisturizer helped with alleviating the irritation a lot during the OST. At the moment I am trying out a Paula’s Choice Clinical Advanced Redness Relief with my current AHA, and find that it helps a lot with any redness I experience from sensitivity. I think it would also help with the OST sensitivity, but I haven’t tried the two together! Nah, I haven’t been using any Niacinamide products with this serum. I love Niacinamide as an active though – it’s in a lot of my favorite products, and I’ve never had a reaction to it. I remember feeling some sensation (though not exactly the same as this one) back when I was using the Perricone MD Vitamin C-Ester. I’m thinking the tingling may be something to do with high concentrations of Vitamin C in general. It definitely requires further investigation! Once again, you’ve blown me away with your ingredient knowledge and interactions. Great review and great results. You remind me I’ve gotta start using a C serum. My routine is very similar to yours as I use Benton essence along with the same oils. But I’m almost twice your age and I have more hyperpigmentation to deal with than you. Thanks again for the great review! I’m impatiently waiting for benton to come out with their SPF! You and me both, Angel! I wish they’d come out with that sunscreen soon! If you’ve got hyperpigmentation issues, a C serum is definitely worth a shot. I have a few products in my arsenal that help a lot with hyperpigmentation, but this C serum was downright impressive on that front. I think vitamin c is great and ascorbic acid is actually the best one for collagen but it only work on 60% of the population. I think the tingling you’re are experiencing means either it working or that it’s too strong for you. If the sting is too unbearable then maybe you should consider a lower dosage? Hey Annie! Any chance you’d share your Vitamin C recipe with us? Of course you can add other goodies. I read that adding 1% vitamin e in will help boost sun protection as vitamin c and e recycle each other. I am not terribly accurate, but I make mine weekly and keep it in the fridge to hopefully slow down the reaction and second, to slow down bacteria grow. Sometime instead of water, I used a simple toner instead because they have preservatives in it. Im not too terribly against preservatives because I rather have some of them than to have a bacteria infested product. Good luck! Thanks for that recipe Annie! I’m making this tomorrow. It’s much simpler than the current recipe I have. I finally found natural, alcohol free witch hazel. I think I’ll try that in place of the water. Hey Kerry! I have an unrelated question (although I’m definitely going to pick up this serum to try and get rid of my facial scarring). I stumbled on your blog months ago, obsessively read through it all, and then I got the full Benton line to try out and it’s been working great for my skin (which is oily and very acne-prone). My mother loved my results and also got Benton, but since we have different skin types and issue she’s not sure what products she should be using. I was wondering what products you would recommend for a mid-50’s woman with dry/normal skin, whose primary concerns are wrinkles, lack of glow, large pores, dryness, and papery skin? If you know of anything off the top of your head, that would be extremely appreciated! Thanks for the product review. How do you incorporate the Vitamin C20 into your skincare routine with the Benton Aloe & Snail? That’s exactly what I was wondering. I’d like to try something similar to Kerry’s routine as well as this serum, but there doesn’t seem to be a “serum step” in the routine. When you you apply the serum? Hi Ida! If I were using this with the Benton products, I would use this serum in place of the Benton Snail Bee Essence, after the Benton Aloe BHA Toner. The Benton Snail Bee Essence is the serum step in that routine, despite the confusing product name. However, there’s nothing stopping you from using this in addition to the Benton Snail Bee Essence – just be sure to use the Vitamin C serum first. If you had to choose between the Benton Snail Bee Essence and a vitamin C serum, which would you pick? I’m kind of stuck and I don’t know which one is going to be better. Great Review! I’ve been using the OST Vitamin C serum for a couple months now and I’m seeing amazing results including brightening, fading of dark marks, and overall better skin texture. The serum provides me with better results when compared to the very expensive Phyto-C serums I’ve used. The only drawback is that I live in San Francisco, CA, USA and it can take several weeks for a shipment. It’s actually been about a month now, and I’m completely out of the serum, and I’m still waiting for my shipment from Wishtrend to arrive 🙁 I can imagine, it’s taking longer then usual due to the holidays. Other then that, the product is wonderful! Oh geez, Carolina! Somehow I missed this comment – my apologies! Anyway, I hope by now your serum has arrived! It’s good to know that this has performed better for you than the more expensive serums. Thanks so much for sharing! Wow what a really good review!! So complete! I also bought it from wishtrend will come like in 4 days.. waiting!! Hey could you review caolion sensitive bb cream? I have read great reviews from it!!!! Would like to see ur personal opinion! Have great year!! Hi Piu! I’m so glad you enjoyed the review! I will have to take a look at the Caolion BB Cream. I am a sucker for a skin care product with the word “sensitive” in the name! I discovered Korean cosmetics and skincare products last year, started with the BB creams and before I realized, I was addicted. While searching for more info, I found your blog and now I’m a huge fan, I like the way you write the articles and especially your researches and I just want to thank you because you’re doing a great job. I suffer from rosacea combined with oily skin and I have to admit you inspired me to purchase a lot of the products you have reviewed, hoping to improve my skin condition. I have recently tried the Benton BHA, essence and cream and I love them. I also have Missha’s first essence, the Night repair, the OST serum and I even purchased products from Paula’s choice and Sulhwasoo. I am still new with all the asian skincare routine and this is why I wanted to ask you if you think Missha’s first essence and night repair can be combined with Benton products and the OST serum. I apply the First essence right after cleansing my face, followed by the Benton BHA, my 3rd step is Paula’s choice anti-redness exfoliant, then the OST serum (at night), after that I use the Missha’s night repair, followed by Benton’s snail essence, I apply after Benton’s aloe gel and in the end Benton’s cream. I don’t know if it is too much, though. My face feels moisturized, my skin smoother and although the redness has not miraculously vanished (it would have been too good to be true) I do believe the situation is somewhat better. I dream for the day I won’t need a BB cream or a foundation to go out, but meanwhile I keep trying products that can help my red face. Once again, thank you for your blog. You’re amazing btw. I just have a question. I have this serum, Paula Choice’s 2% BHA liquid exfoliant, and Benton BHA toner, how do i use them? Can I use them together? or should I use the Vit C first, run out of it then use the PC exfoliant? do you know the pH level of OST Vit C? I don’t wanna mix it with Benton Toner since it might cancel out how effective they are. I am also interested in knowing the pH levels of this product. Ascorbic Acid is only stable if it’s in a pH level lower than 3.5. I’m curious to know where this falls. I’m totally sold! 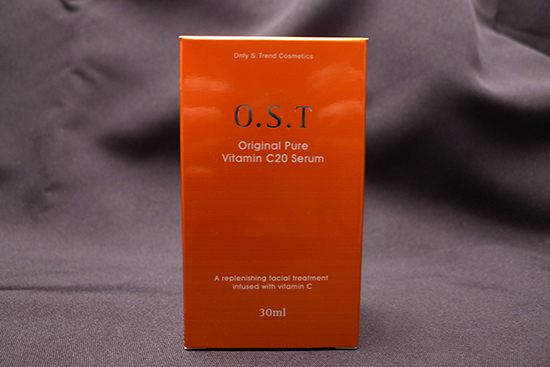 I wanna get my hands on the OST Vit C. DO you know if there is any shops in Korea that sells? I’ll be there in a few days time and are keen to get it. Thank you! Hi Joey! I’m not sure which shops in Korea might carry it. Have you tried asking the helpful folks over at http://www.reddit.com/r/asianbeauty ? They’re a friendly bunch and someone there is bound to know! HI, I was wondering if you’re still using the OST VitC20? I was thinking of purchasing it but wanted to know your thoughts – this far after your initial review. Thanks. Hi Kerry, I started using Korean skincare products a few months ago and am still learning a ton. Your site and reviews have been so helpful!! Question for you – I have been using Su:m37’s Secret Programming Essence which I found to be wonderful for my dry, acne-prone with PIH skin, but I know it contains Niacinamide. I also started using OST Vitamin C and am wondering how to make sure they’re both being used effectively and to get the most out of their ingredients. Do you have advice for how /when to use them? Thank you!! That before and after is amazing! I’m surprised to not see any comment that may point out the irritation may very well be due to the inclusion of another known irritant along with the alcohol, citrus oil. There are so many good Vit C choices available currently that I would have passed on this one simply due to ethanol as the third ingredient. Couple that with citrus oil and this is a pass. Thanks for trying it out for others. Since this serum has exfoliating properties, should I stop using other exfoliators in my routine if I purchase this? And do you think this serum can be used every night or would that be too much because of over-exfoliation? Thanks! Thanks for the helpful reply! I’m definitely interested in trying this serum out now. 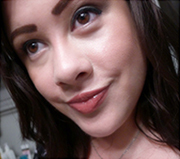 I have been obsessing over your beautiful blog and am slightly confused over two points. 1) should I apply my O.S.T Vit C serum onto post-cleaned but otherwise naked skin or after using Paula’s Choice 2 percent BHA liquid? 2) after applying the O.S.T serum should I go straight to face oil then moisturizer whilst skipping the hydrating toner? I can’t work out where to add extra moisture in this routine. How long did your bottle last? I just started using the serum almost a week ago and I already see a bit of a difference with my skin. I definitely plan on repurchasing it and I would like to order the serum so that it arrives when I’m close to being done with my current bottle. I was going to ask the exact same thing! I am wondering if the new C21.5 Advanced acts in the same way as the C20. The results of the original C20 look incredible, so I would love to check it out, but now I’m wondering if it would be better to buy the ‘improved’ version. Kerry, it says that the Niacinamide has been taken out of the new formula, which maybe improves the efficacy of the serum? All the other new ingredients look good too! Also, would the higher concentration of Ascorbic Acid mean it would be more effective, even when applied topically? This is such a thorough and informative review. It helps me a lot in researching on the right vitamin c serum for my sensitive skin. I really appreciate your dedicated efforts in writing your reviews. The 21.5% ascorbic acid sounds great but I’m not knowledgeable enough to understand the efficacy of the other ingredients. I would love your input on this and if you could make a recommendation between these two for me! My skin is just about everything; oily, acne-prone, sensitive (extremely sensitive as of late), some dry patches with flakiness, and rosacea. Yup, my face is a mess. Thanks for the great article! I am just about to start using my C20 that I got a couple weeks ago. I’ve been carefully reading about skin ph and product layering, because its a lot to tackle and understand. I read somewhere that refrigerating the C20 prolongs the shelf life (as its cold and dark in there), and then I read elsewhere that refrigerating products has no benefits. Do you have an opinion? I am approaching a warm and humid summer in NYC, in an apartment with no central air, so I’m concerned about this, and other, face products. I have one urgent question: do you change out the bottle cap with the dropper permanently upon arrival? I tried and so much product overflowed! It doesn’t make sense…am i supposed to keep the dropper separate and wash and dry it before each use?? Question! Could you apply this after applying P50 in the morning? Hello! I am new to the Asian skincare routine (so new, in fact, my first batch of new products from Wishtrend hasn’t arrived and I am anxiously awaiting some Prime deliveries tomorrow!) and have been loving this blog! I have purchased the advanced version of this serum as well a COSRX BHA treatment. What are the guidelines for applying two products like this? Based on some things I have read, to get maximum benefit, I should add wait time after each product? Which one should be applied first? Or would you rotate these two products since, let’s face it, most people aren’t going to add 40-60 minutes of wait time to their evening skincare routine? There is a new and improved formula for this product that was launched this year – Pure Vitamin C21.5 Advanced Serum. It would be great if you could do an update review on this product. Hi Kerry, thanks very much for your review on C20! Meanwhile, the serum is being shipped to me and I can’t wait to try it. I am just wondering if I could apply Paula’s Choice 2% BHA Liquid Exfoliant or RESIST Weekly Resurfacing Treatment before applying C20…I am new to skincare chemicals and am pretty confused on how to layer them when it comes to “chemical reaction”. Much appreciate your advice…Thank you. So basically my routine is laneige – skin refiner, skinfood – black sugar perfect first serum, and then O.S.T Vitamin C. But I saw you write you use it directly on bare skin, so should I use my toner and perfect first serum after the vitamin C or just dispatch both of them and continue with the rest? Thank you so much! Is is it recommended to use it straight after toner? Or after essence? 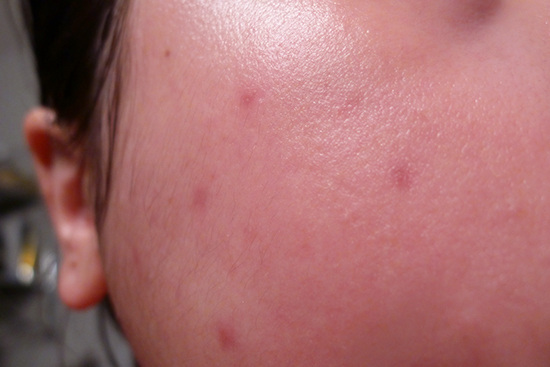 Is this suitable for a 20 year old (normal skin with blackheads problem) who just started the Korean Skincare routine? Hi, is it better to dab it onto your skin or using cotton pad?